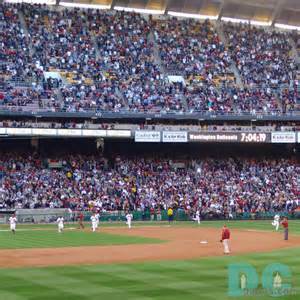 How do you increase attendance at the ballpark? Win, or, better yet, don’t lose games! Major League Baseball ballparks always seem to be pushing the envelope to find creative and innovative ways to get people in the seats. Whether it’s promotional giveaways, or discounted prices on tickets or food and beverages, increasing a team’s attendance is a constant focus for MLB marketing departments. But maybe the easiest way is increase attendance at the ballpark is the simple (?) task of winning. Or maybe better stated, not losing. Let’s take a look at the 2016 season and see how success on the field provided a bump in attendance for some teams and how losing seemed to equate with a decline in ticket sales for other teams. Six of the 10 playoff teams in 2016 saw their attendance increase in 2016 over the previous year. The four that did not: Baltimore (down 109k), the L.A. Dodgers (down 61k), San Francisco (down 10k) and Washington (down 138k). Of the 20 teams that did not make the playoffs in 2016, 14 of them (70%) saw a decline in attendance last season over the previous year. Four of the six division champs increased their attendance this season. The two that did not: the Dodgers and Nationals. Of the four Wild Card teams, two increased their attendance in 2016 (the Mets and Blue Jays) while two did not (the Orioles and Giants). Fifteen MLB teams in 2016 finished the season above .500 and 15 were .500 or below. Of the 15 teams above .500, eight increased their attendance in 2016 over 2015, while of the 15 teams below .500, 11 of the 15 saw their attendance decrease in the ’16 season versus the ’15 season. Seventeen of the 30 MLB teams in 2016 increased their win totals from the 2015 season; 13 saw their win totals decrease from 2015 to 2016. Of the 17 teams that saw their win totals increase, eight also increased their attendance in 2016. Of the 13 teams that saw their win totals decrease from 2015 to 2016, nine of them also saw their attendance decline from 2015 to 2016. Finally, five teams increased their win total by 10 or more victories over 2015. Of those five, three increased their attendance last season… seven teams saw their win total decrease by 10 wins or more from 2015 to 2016; of those seven, six also saw their attendance drop from 2015 to last season. There are certainly a lot of factors to consider when you look at why a team sees a bump in their attendance numbers from one year to the next, and it would be a little careless to say that winning alone will help drive up attendance. But some of the numbers above seem to indicate that success on the field (or lack thereof) does play a role in attendance. It’s just a matter of how much people want to pin winning and losing on filling the seats in the stadium. It’s only a one-year sample, but there seems to be less of a cause-and-effect when it comes to increasing victories and attendance numbers, but the stats show a clearer picture when it comes to teams that show their win totals on the decline… there’s a greater chance attendance numbers will also decline if there is a significant decline in win totals from one year to the next.